Happy days for us all. I went with -1 and -2. Also stuck a wee fiver free bet on them at half time to win 4-0. (Cheers Gav) Balance sheet showing about £170 profit this weekend. Fancy a wee flutter on the Canadian Open... Kuchar 9/2 or Dustin Johnson 9/1... what do you think guys? Don't listen to him Gav... stick it all on black and double it. Snedeker will be hard to catch but I'd be looking at Kooch to do so. If, as reported, Newcastle bring their first team squad on Tuesday then odds of 4/6 to win the match or 6/4 Newcastle HT/FT seem generous. 4/6 is a licence to print money. Get on it. Triple Bogey from Dustin on the 17th I think it was screwed me. Balance at the end of the weekend however is £150 profit. Not bad for the first weekend. Newcastle odds do look very generous, but very wary of friendly games. I recall a match against Middlesbrough at Love St (testimonial I think) where we held them to a 1-1 draw I think it was? Worth a flutter but wouldn't go crazy on it! Actually got £10,50 back as I had Dustin E/W so £171 profit this weekend according to my spreadsheet. Genuinely delighted fur ye Tam. f**k THE BOOKIES. Got 8/13 for Newcastle to win tomorrow via PP Trading Dept... on it like King Kong. 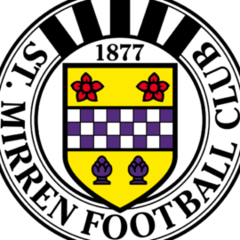 I'm considering Newcastle at 3/5 on SkyBet, but it just doesn't seem right to bet against St.Mirren so I haven't touched anything yet!! Looking forward to Saturday much more. Pretty much a full card and loads of gambling opportunities. Although, first few games of the season are always tricky for winning anything. No form to go on. Friday night - Dundee Utd 7/5 with Ladbrokes to beat newly promoted Thistle. Saints 14/5 to win in Inverness. Newcastle -2 is 23/10, good bet??? Hope you all lose your money! Keeping my cash in the pocket.. Wish I had put a few quid on but I don't usually bet on Saints games. Easy money. £260 profit since Saturday. Good start. Couldn't bring myself to bet against the Buds tonight. Probably silly of me, but I just couldn't do it! Even for a friendly!! Roll on Saturday's season kick off. That's when I REALLY start to enjoy a bet. I fancy a draw in both those games. Aberdeen at EVENS at home to Killie on Saturday looks a decent shout. As does St Johnstone (11/10 I think) at home to Hearts. Don't think I'll be backing too much first game of the season. I just dont see where Celtic's goals will come from. I've gone for draw and away win. Nothing heavy.